Today, a dear friend of mine, Alexa, is sharing the story of her experience with Twin-to-Twin Transfusion Syndrome (TTTS). 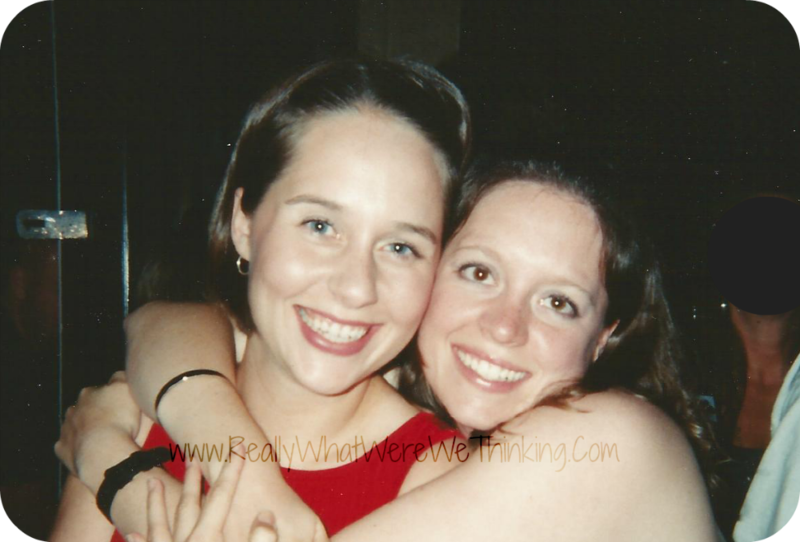 Alexa and I met while we were both living in Charleston, SC and became fast friends sharing a love of laughter, good food, and, well, shenanigans. We met through a mutual friend, eventually lived in the same apartment complex, and she helped me get a job with her at a tiny little French restaurant. Later, I moved on to outdoor education and running a canoeing program while Alexa learned about four different languages in her spare time (I may be exaggerating, but not by much) and joining the military. Years passed and we have reconnected on another level as mothers. Alexa's experience with TTTS was the first time I had ever heard of the syndrome and I find her story informative and her strength inspiring. 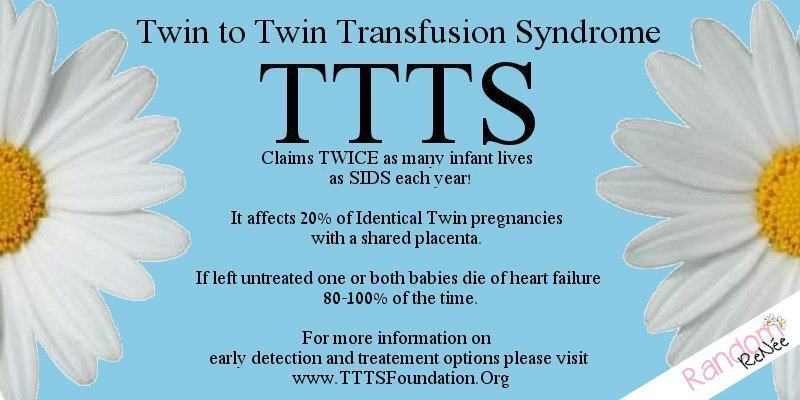 Did you know that TTTS kills more babies than SIDS? TWICE as many babies! Was your first question after you read that “What the heck is TTTS?? ?” A year ago, that would have been my reaction. Yet I bet everyone is familiar with SIDS. Well, I am altogether too down and personal with TTTS because it killed my daughter. TTTS is Twin-to-Twin-Transfusion Syndrome. If you EVER know of anyone pregnant with identical twins, you need to tell them to stop, do not pass go, and head directly to the TTTS Foundation webpage. (Contact information at the end of this post.) And don’t allow them to be like I was. My thought was “What can some woman in Wisconsin do to help my situation? ?” So I never made that call to Mary at the TTTS Foundation. And that will haunt me forever. Turns out, she has saved a LOT of babies. I was stupid. Ignorance is not always bliss. In my case, ignorance is a lifetime of pain and loss. Earlier intervention, more ultrasounds, knowing the signs and symptoms, knowing the treatment options (since even many OBs do not!) can help change the outcome for babies. Our story is written. But I can try to help change someone else’s story. That is why I am dedicated to raising awareness. So to do just that, I’d like to share some of our personal journey. September 28, 2011. It was approximately 1:30 p.m. My husband and I watched the ultrasound screen in amazement. Identical twin girls! Even though we found out very early, at just six and a half weeks, that we were pregnant with twins, we still were reeling from the idea! This being our third pregnancy, we were experienced with the 20 week ultrasound, but I wanted my husband to be there anyway. I knew he’d regret it if he never got to see how the awesomeness of the two babies interacting in the womb. Thank the Lord he was by my side that day. “This is bad hon,” I told him. And it didn’t take much longer before he understood the degree. The ultrasound technician hurried through the rest of her exam and told us that we had TTTS and the Doctor would tell us more about it. As we sat with the doctor, she told us the basics – when twins share a placenta (called monochorionic-diamniotic or mono/di twins – one placenta, two sacs) there is a high risk that they will not share fluids from the placenta equally. One twin winds up “donating” fluids and the other receives too much. This is why there was such a size difference in the babies. The “black” area in the belly indicated hydrops fetalis – or a build-up of fluid in the baby’s abdomen, indicating heart failure. Not all babies with TTTS develop hydrops… the craziest thing about TTTS is how varied the outcomes can be. Single loss, double loss, double survivors, some with severe disabilities and those that have no disabilities at all. And then, because many of them are born so premature, they are faced with all of the challenges of severe prematurity. There is no certainty about anything with this disease of the placenta. But one thing is certain – you can’t fight something you know nothing about! So learn, be aware, and share that awareness! You never know when someone in your life may be impacted by this! The card below gives some very key points and information. The details of the next few minutes, hours, days, weeks would fill a novel for me to write. If you are interested in knowing what transpired in the months to follow, please come visit my blog “No Holding Back”. Luckily our story doesn’t end completely dismally. Our donor baby, Tiny as I refer to her, although only 1lb10oz at birth, has overcome all odds and is a perfectly healthy and very happy baby! 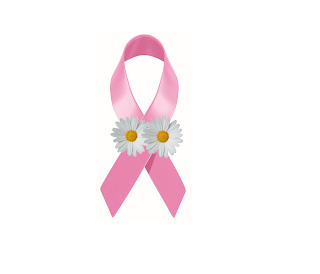 Thanks to Dana for allowing me to use her Blog as another opportunity to spread awareness!